Archaeological Methods and Jargon in Africa - Background to Evolution in Africa. 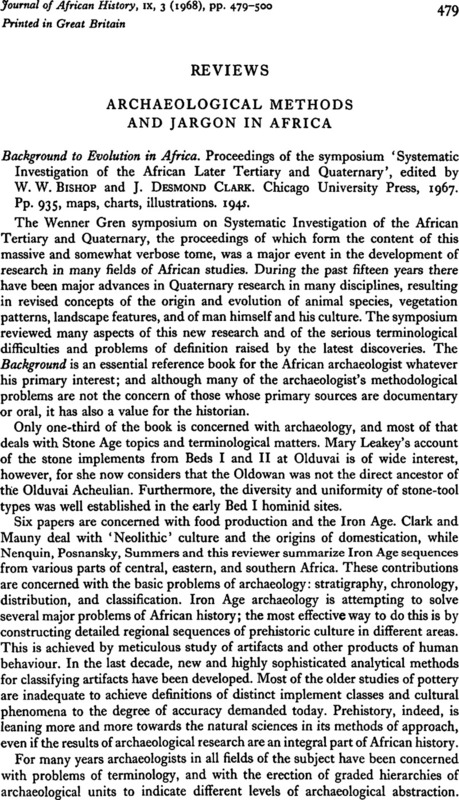 Proceedings of the symposium ‘Systematic Investigation of the African Later Tertiary and Quaternary’, edited by W. W. Bishop and J. Desmond Clark. Chicago University Press, 1967. Pp. 935, maps, charts, illustrations. 194s.